Koenigsegg is slowly expanding its presence in the U.S., and will take a big step toward that goal at Monterey Car Week. The Swedish automaker will display its first fully U.S. homologated and road-legal car at McCall’s Motorsports Revival and The Quail, A Motorsport Gathering during the weeklong automotive extravaganza. That car is an Agera RS, renamed “Agera XS” at the request of its owner. 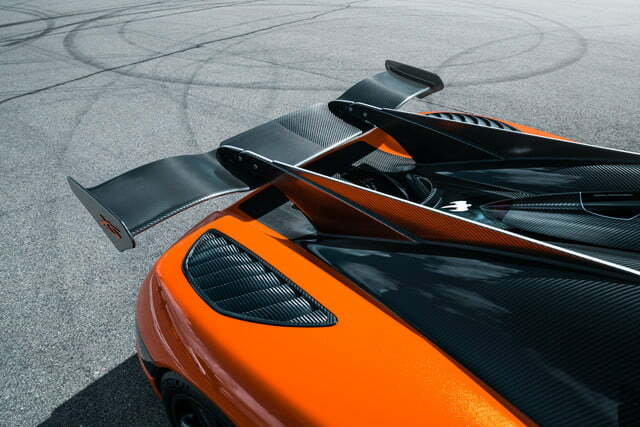 It will be displayed alongside Koenigsegg’s Regera hybrid supercar. Koenigsegg has imported a handful of cars over the past couple of years. But none of these cars meet federal emissions and crash safety standards. They were imported under the “Show and Display” waiver that allows cars to be brought into the country individually provided they are not driven often. Koenigsegg previous avoided federalizing its cars because of the cost and complexity of that process. The U.S. wasn’t previously considered a large enough market to make homologating cars worthwhile, but Koenigsegg has decided to make U.S. sales more of a priority. 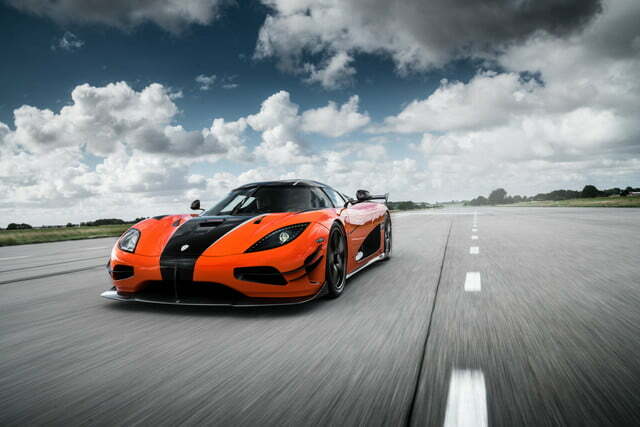 It began the build of the U.S.-spec Agera XS back in November. 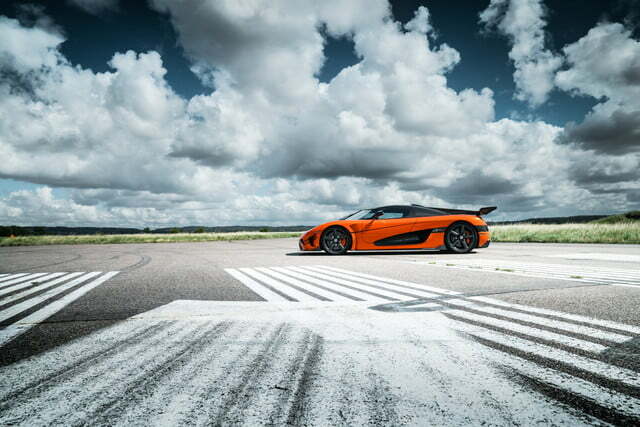 Wearing chassis number 128, it was customized for its owner with Karosserie Orange paint, a black and orange interior, and the largest rear spoiler ever fitted to a production Koenigsegg. Chassis 128 is one of 25 Agera RS supercars Koenigsegg plans to build. The RS borrows hardware from the Koenigsegg One:1, but features more creature comforts than that extreme hypercar. Power comes courtesy of a 5.0-liter V8 that produces 1,160 horsepower. That power is sent to the rear wheels through a seven-speed sequential gearbox. There isn’t much weight to move, either, as the RS weighs just 3,075 pounds, including all fluids. The Koenigsegg Regera that will also be displayed in Monterey boasts a 5.0-liter twin-turbocharged V8, three electric motors, and a complex drive system that does away with a conventional transmission. 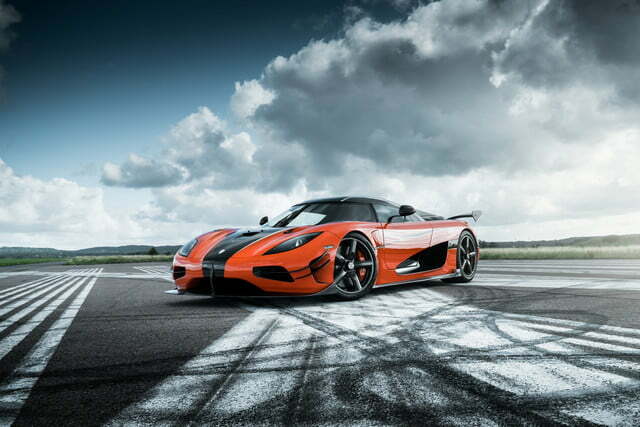 Koenigsegg pegs combined output at more than 1,500 hp. 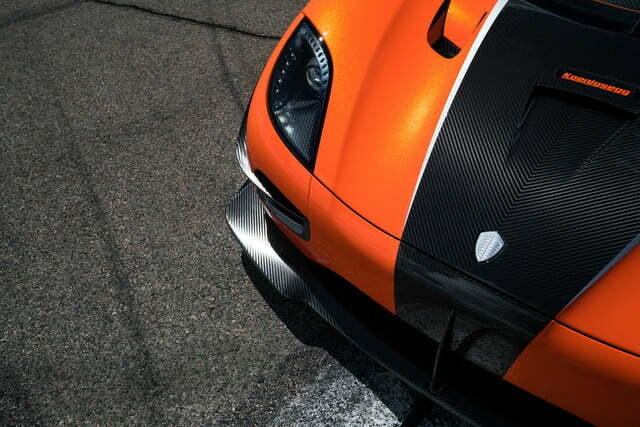 The Regera will get a slightly higher-volume run than the Agera RS, with 80 cars planned.